Kohlberg’s theory about the development of moral judgement is regarded as bein very important in educational practice. This article addresses his legacy and his influence in the current educational setting, especially at university level. It will also try to note possible criticisms and misinterpretations of his ideas. To this end, relevant literature relating to the author will be analysed and discussed. There are two areas of the current university pedagogical model that draw on Kohlberg as a source: an increase in methodologies that address ethical dilemmas and the idea of bringing the university closer to reality, promoting it as a community service. The article concludes with a discussion of possible deficiencies resulting from Kohlberg’s theories. Areas discussed include the current approach to university education in terms of competencies, the pursuit of utility as a trend in university pedagogy, and the importance of understanding cultural formation linked to moral education and the vital system of community ideas. Adorno, T. (2005). Dialéctica negativa. La jerga de la autenticidad. Madrid: Ediciones Akal. Albers, I., Mesa, J. A., Oraison, J. R., Camino, C., Pasmanik, D., Frisancho, S. and Farías, L. (2012). Sobre el legado de Lawrence Kohlberg: perspectivas latinoamericanas. Postconvencionales, 5-6, 35-67. Bacon, F. (2004). Novum Organum. Buenos Aires: Editorial Losada. Berkowitz, M. W. (2012). Navigating the Semantic Minefield of Promoting Moral Development. Retrieved from http://www.amenetwork.org/opinion/2016/2/15/navigating-the-semantic-minefield-of-promoting-moral-development-by-marvin-w-berkowitz (Consulted on March 10, 2016). Bok, D. (1986). Higher Learning. Cambridge: Harvard University Press. Bolívar, A. (1987). Desarrollo moral y educación moral: la perspectiva cognitivo-formalista. Revista española de pedagogía, 45, 395-409. Buxarrais, R. M. (1992). Actitudes, valores y normas: aprendizaje y desarrollo moral. Comunicación, lenguaje y sociedad, 15, 25-31. Cookson, P. (2010). Implications of Internet Technologies for Higher Education: North American Perspectives. Open Learning, 15 (1), 71-80. DeVries, R. (1991). The cognitive-developmental paradigm. In W. M. Kurtines and J. L. Gerwitz (Ed. ), Handbook of moral, behavior and develpment, Vol. 1 (pp. 7-12). New Jersey: LEA. Dewey, J. (1975). Moral Principles in Education. Carbondale: Southern Illinois University Press. Delta Pi. Díaz Serrano, J. (2015). El desarrollo del juicio moral en Kohlberg como factor condicionante del rendimiento académico en ciencias sociales de un grupo de estudiantes de educación secundaria. Revista Electrónica Educare, 19 (3), 1-14. Elorrieta-Grimalt, M. P. (2012). Análisis crítico de la educación moral según Lawrence Kohlberg. Educación y Educadores, 15 (3), 497-512. Escámez, J. (1991). Lawrence Kohlberg. Filosofía de la educación hoy: autores y selección de textos. Madrid: Dykinson. Fernández Herrero, B. (1993). El esquema de Kohlberg revisado: R. S. Peters y la educación moral temprana. Paideia, 24, 461-484. Fry, H., Ketteridge, S. and Marshall, S. (2009). A Handbook of teaching and learning in Higher Education Enhancing academic practice. New York: Routledge. Fuentes, J. L. (2013). Hacia una filosofía de la educación intercultural: diversidad moral, identidad cultural y diálogo intercultural. Doctoral thesis. Universidad Complutense de Madrid, Madrid.Retrieved from http://eprints.ucm.es/24035/1/T35047.pdf (Consulted on July 14, 2017). García, M. T. (1998). Desarrollo moral y culpabilidad: modelos conceptuales y aplicación empírica. Doctoral thesis. Universidad Complutense de Madrid, Madrid. Retrieved from http://biblioteca.ucm.es/tesis/19972000/S/4/S4014301.pdf (Consulted on May 25, 2017). García Morente, M. (2012). El ideal universitario y otros ensayos. Pamplona: EUNSA. Gibbs, P. (2001). Higher Education as a Market: a problem or solution? Studies in Higher Education, 26 (1), 85-94. Gibbs, J. C. (2014). Moral development & reality. Beyond the theories of Kohlberg, Hoffman, and Haidt. Nueva York: Oxford University Press. Gilligan, C. (1977). In a different voice: Women’s conceptions of the self and of morality. Harvard Educational Review, 49, 461-517. Gilligan, C. (1982). In a Different Voice: Psychological Theory and Women’s Development. Cambridge, Mass: Harvard University Press. González Córcoles, M. R. (2017). Experiencias de desarrollo del razonamiento moral hacia un pensamiento de principios en la edad adulta según L. Kohlberg. 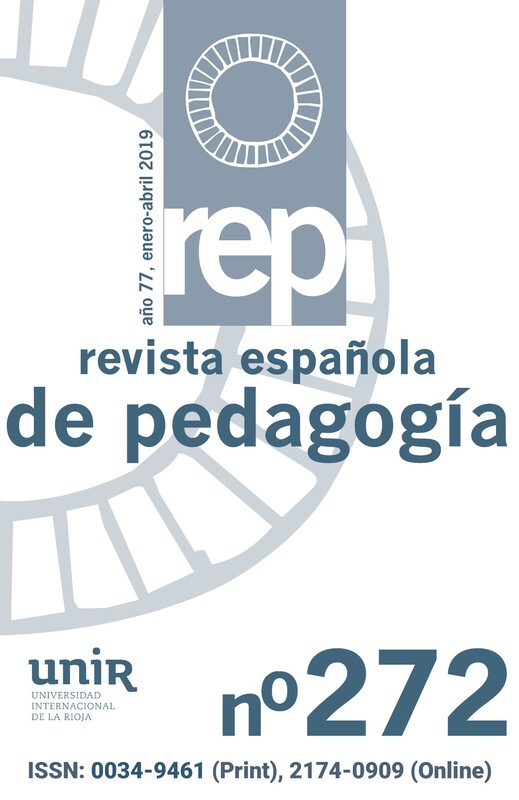 Educación y futuro: revista de investigación aplicada y experiencias educativas, 36, 209-247. González, J. and Wagenaar, R. (Eds.) (2003). Tunning Educational Structures in Europe. Final Report. Phase One. Bilbao: Universidad de Deusto. Goñi, A. (1998). Psicología de la Educación Sociopersonal. Madrid: Fundamentos. Gordillo, M. V. (1992). Desarrollo moral y educación. Pamplona: Eunsa. Gozálvez, V. and Jover, G. (2016). Articulación de la justicia y el cuidado en la educación moral: del universalismo sustitutivo a una ética situada de los derechos humanos. Educación XX1, 19 (1), 311-330. Guardini, R. (2012). Tres escritos sobre la universidad. Pamplona: EUNSA. Karseth, B. (2006). Curriculum restructuring in higher education after the Bologna Process: A new pedagogic regime. Revista Española de Educación Comparada, 12 (1), 255-284. Kohlberg, L. and Rochelle, M. (1972). Development as the Aim of Education. Harvard Educational Review, 42 (4), 449-496.
and Behaviour Theory, Research and Social Issues (pp. 31-53). New York: Holt, Rinehart and Winston. Kohlberg, L. (1985a). The development of Modes of Moral Thinking and Choice in the Years 10 to 16. PhD thesis. University of Chicago, Chicago. Kohlberg, L. (1985b). A just community approach to moral education in theory and practice. In M. Berkowitz and F. Oser (Eds. ), Moral Education: Theory and Practice (pp. 27-88). Hillsdale: Lawrence Erlbaum. Kohlberg, L. (1987). El enfoque cognitivo-evolutivo de la educación moral. In J. A. Jordán and F. F. Santolaria (Eds. ), La educación moral hoy. Cuestiones y perspectivas (pp. 85-114). Barcelona: PPU. Kohlberg, L. and Reimer, J. (1997). De la discusión moral al gobierno democrático. In L. Kohlberg, F. C. Power and A. Higgins (Eds. ), La educación moral según Lawrence Kohlberg (pp. 21-47). Bilbao: Desclée de Brouwer. Kristjánsson, K. (2007). Aristotle, Emotions, and Education. Farnham: Ashgate. Lapsley, D. K. and Narvaez, D. F. (2005). Moral Psychology at the Crossroads. In D. K. Lapsley and F.C. Power (Eds. ), Character Psychology and Character Education (pp. 18-35). Notre Dame: University of Notre Dame Press. Linde, A. (2009). La Educación moral según Lawrence Kohlberg: una utopía irrealizable. Praxis Filosófica, 28, 7-22. Martínez, M. (Ed.) (2008). Aprendizaje servicio y responsabilidad social de las universidades. Barcelona: Octaedro. MacIntyre, A. (1987). Tras la virtud. Barcelona: Crítica. Mulhall, S. and Swift, A. (1996). El individuo frente a la comunidad: el debate entre liberales y comunitaristas. Madrid: Temas de Hoy. Naval, C. (2000). Educar ciudadanos. La polémica liberal-comunitarista en educación. Pamplona: EUNSA. Noddings, N. (1984). Caring: A Feminist Approach to Ethics and Moral Education. Berkeley and Los Angeles: University of California Press. Nuevalos, C. (1997). Desarrollo moral y valores ambientales. Valencia: Universitat de València. Retrieved from http://roderic.uv.es/bitstream/handle/10550/15379/nuevalos.pdf?sequence=1&isAllowed=y (Consulted on May 17, 2017). economy: from the free market to knowledge capitalism. Journal of Education Policy, 20 (3), 313-345. Onushkin, V. (1973). Planning the development of universities vol. II. Analysis of the Questionnaire. París: UNESCO. Ordine, N. (2013). La utilidad de lo inútil. Manifiesto. Barcelona: Acantilado. Palomo, A. M. (1989). Lawrence Kohlberg: Teoría y práctica del desarrollo moral en la escuela. Revista interuniversitaria de formación del profesorado, 4, 79-90. Pérez Delgado, E., Frías, D. and Pons, G. (1988). La aportación de Lawrence Kohlberg (1927- 1987) a las ciencias sociales, psicología y psicología moral en la actualidad. Revista de historia de la psicología, 9 (2-3), 173-209. Peters, R. S. (1984). Desarrollo moral y educación moral. México: ECE. Piaget, J. (1964). Psicología de la Inteligencia. Buenos Aires: Psique. Piaget, J. (1987). El criterio moral en el niño. Barcelona: Martínez Roca. Raths, L., Harmin, M. and Simon, S. (1966). Values and teaching. Columbus: Merill. Robles, V. H. (2013). La complementación de la discusión de dilemas con la lectura teórica para una eficaz intervención en el juicio moral. International Journal of Psychological Research, 6 (1), 84-93. Ryan, K. (1992). La educación moral en Kohlberg: una teoría aplicada a la escuela. revista española de pedagogía, 191, 35-52. Sanderse, W. (2014). An Aristotelian Model of Moral Development. Journal of Philosophy of Education, 49 (3), 382-398. Santolaria, F. and Jordán, J. A. (1987). La educación moral hoy. Cuestiones y perspectivas. Barcelona: PPU. Sherman, N. (1989). The Fabric of Character. Aristotle’s Theory of Virtue. Oxford: Clarendon Press. Sloam, J. (2008). Teaching Democracy: The Role of Political Science Education. British Journal of Politics and International Relations, 10, 509- 524. Steiner, G. (2004). Lecciones de los maestros. Madrid: Siruela. Taylor, Ch. (1994). La ética de la autenticidad. Barcelona: Paidós. Zizek, B., Garz, D. and Nowak, E. (Eds.) (2015). Kohlberg revisited. Rotterdam: Sense Publishers. Carmen Caro Samada is Coordinator of the Department of Family, School and Society of Universidad Internacional de La Rioja (UNIR); National End of Career Award and Extraordinary Doctorate Award from the University of Navarra. Her main lines of research have been centered on topics such as narrative and moral education, family orientation, as well as the study of educational challenges in virtual environments and ethical-civic learning. Josu Ahedo Ruiz has a PhD in Philosophy and Letters from Universidad de Navarra and has been a secondary and high school teacher for 16 years. He has devoted several years to strategic communication, especially in the political sphere. He is currently Vice-Rector of Students and Academic Quality and Lecturer of the Faculty of Education at Universidad Internacional de La Rioja (UNIR). He is the author of several scientific publications on personalized education, family policy and education of the will. Francisco Esteban Bara is Senior Lecturer at the Department of Theory and History of Education at Universidad de Barcelona (UB). PhD in Pedagogy and Philosophy. His lines of research have focused on character education in the university, and mission of the 21st century university. He is a member of the Research Group in Moral Education of the UB.